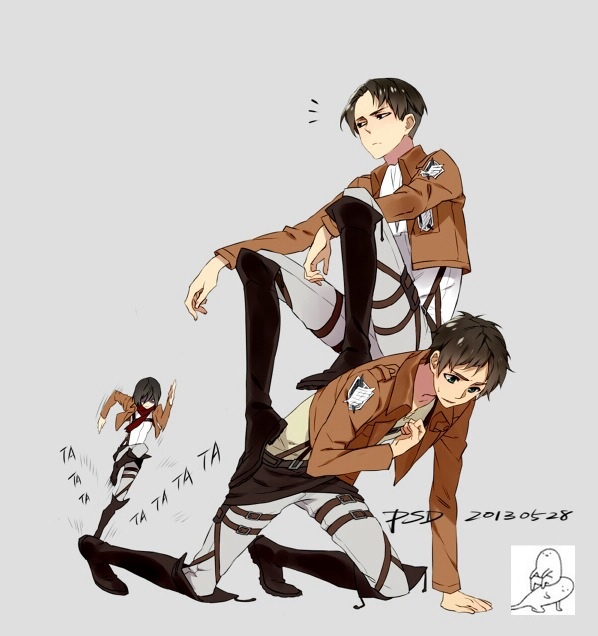 Levi/Mikasa/Eren. . Wallpaper and background images in the 進撃の巨人 club tagged: photo eren levi mikasa fanart snk. This 進撃の巨人 fan art might contain 身なりの人, スーツ, パンツスーツ, よく服を着た人, and パンツ スーツ.